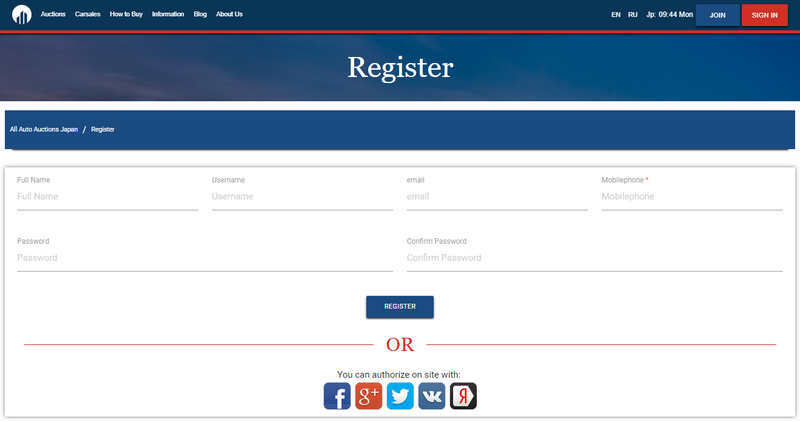 Please provide workable e-mail and telephone number to contact for account identification. After “Sing In” you get the access to the Direct Auctions, all lots available, sales statistics, full descriptions and personal instruments. Please follow to Direct Auctions though your personal panel, then click on “Direct Auctions” icon. Now you can see the list of available cars, and bid on the chosen one. 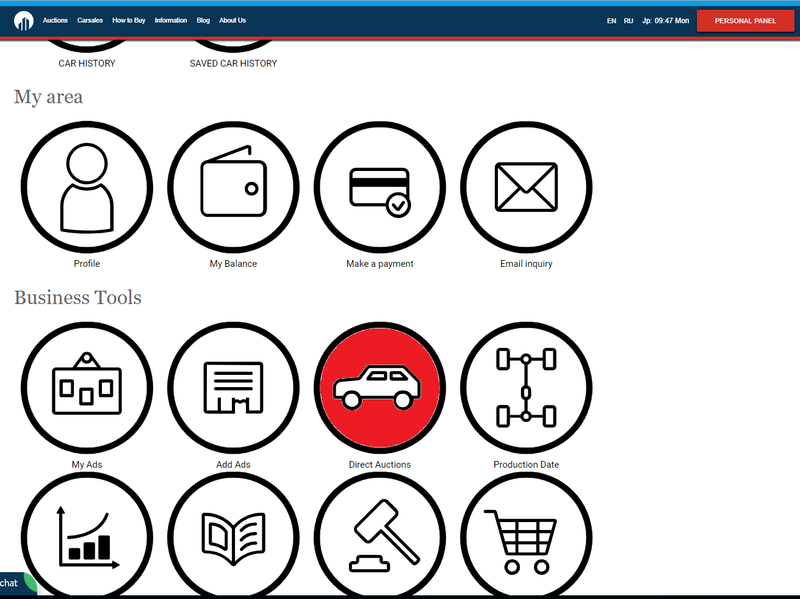 To find the average auction price for the desired car, please use Sales Statistics. Please choose the maker, model, year of production and other options, then click the “Search” button. If you need any help, please Contact Us. To start bidding it is necessary to deposit amount at 100 000 Japanese Yen (1000 USD) for cars less than 1 000 000 JPY (One million Japanese yen) bid price. 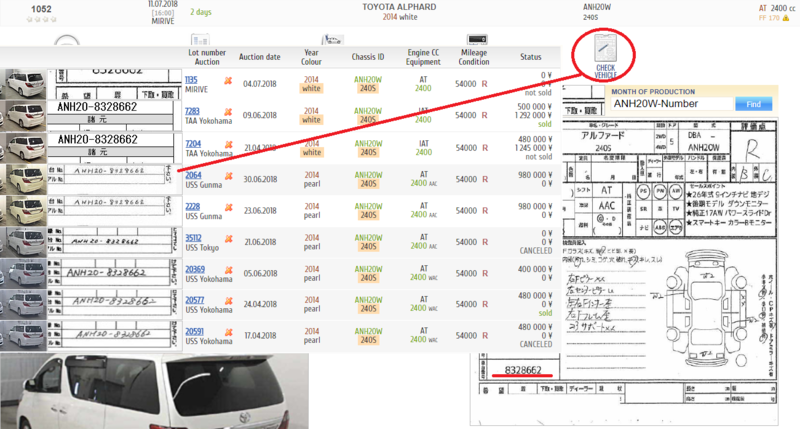 If the bid price of the desired car is higher than 1 000 000 JPY, the deposit amount is discussed by each lot. The Deposit can be refunded anytime (before buying) or it can be deducted from the final invoice sum (after purchasing). Also the Deposit can be kept for future bids. After confirmation of getting the deposit you can start bidding. Please follow to Auction Search page and find the lot by your desire. Please click on the car from the list to see the details. If you satisfy with pictures and description (from the auction list), you can make “initial bid” by input the sum (in Japanese yen) and click “Bid”, please see the screen. You can change the bid amount if necessary. Please note you input amount in Japanese Yen, EXCLUDING the other charges (delivery, export clearance, etc. ), freight and import expenses in the country of delivery. All pointed charges would be added to the bid price of the car. We provide you with full translation of the auction list (car description) after the “initial bid”. Please confirm your bid, after reading the translation. Please follow to the “My Bids” link from your personal panel, as shown at the screen. In the list of your bids, please read the translation to each lot and type your reply to each lot. Please click on the “Pan with note” button (above each lot) and write the answer about particular lot, than save it. Please see the screen how to do it. You can write “OK” or “CANCEL” or any question and/or change your bid. Only after the confirmation, we buy the car from the auction. Please note, the final price of the auction can be up 20 000 JPY higher due to the auction system. To avoid this please bit 20 000 JPY less than your desired price. Check the month of car production. In the auction list pointed the date of first car registration not the production date (the date of production is before of the registration date). 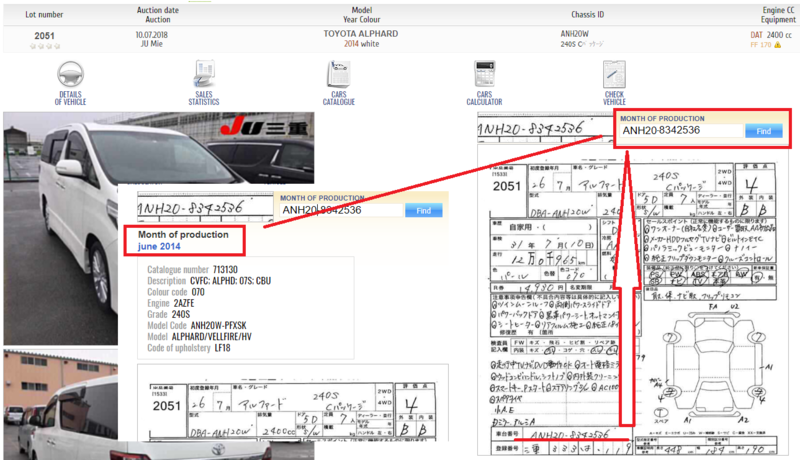 To check the date of production please input the chassis number in special box, as shown at the picture. If there is no information about the production date, please contact us for checking this information for you. Depending on the production date, the customs duty can be different. Please check the date to avoid any question in importing. If the vehicle was traded before at the actions, you can see it by clicking “Check vehicle”. You can see the results of the previous auctions about sold/not sold and the price. Please see the screen. If your bid won (we bought the vehicle by your price or less), we send you invoice to your e-mail. Please pay the invoice within 1 (one) week after getting. The invoice sum is FOB Japan. The freight and import taxes, duties and servicers is paid separately. After getting the payment, we negotiate about the date of shipment and the forwarding company. Our agent make pictures of the car and send you by e-mail. All the documents will be sent by courier-post. After shipment of the car (vehicle), please attend to make customs clearance by yourself.